Iris oncocyclus growing geophyte of the genus Iris and also known as Royal iris or oncocyclus, Iris oncocyclus perennial plant summer deciduous and used as ornamental plant, can grow in mediterranean, desert, subtropics, temperate climate and growing in hardiness zone 9-11. Leaves are narrow and grow in half-moon shape, leaves grow in groups linked together. 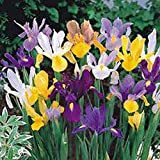 20 Dutch Iris Mix bulbs, Yellow, Purple, Violet, Blue and White, Now shipping ! 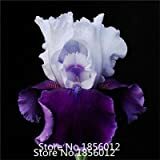 How to make Vegetative Reproduction in Iris oncocyclus? 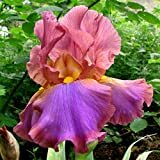 What is the treatment for vegetative reproduction in Iris oncocyclus?